Old design of packing is white cap. New design of packing is black cap. Selevax’s revolutionary formula helps reduce the appearance of scars caused by acne, injury, burns, chicken pox, cuts, bruises and surgery. It works in two ways. First, the powerful ingredients nourish the skin and repair scar tissue restoring its elasticity and collagen formation. 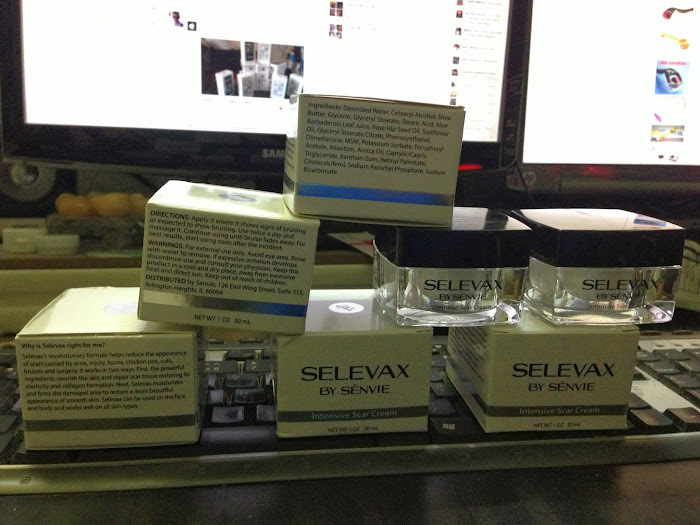 Next, Selevax moisturizes and firms the damaged area to restore a more beautiful appearance of smooth skin. Selevax can be used on the face and body. Fast, long Term Scar Reduction. - Remove Injury, Cuts and Bruises Scars. - Remove Scars from Chicken Pox. 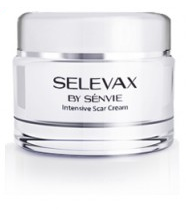 We’ve formulated Selevax to work against the toughest scars. The ingredients in Selevax have been selected to produce the maximum results possible. You can use Selevax with confidence as it is manufactured in the USA in an FDA Registered Laboratory. Selevax. All Items are new set, and original imported from US.